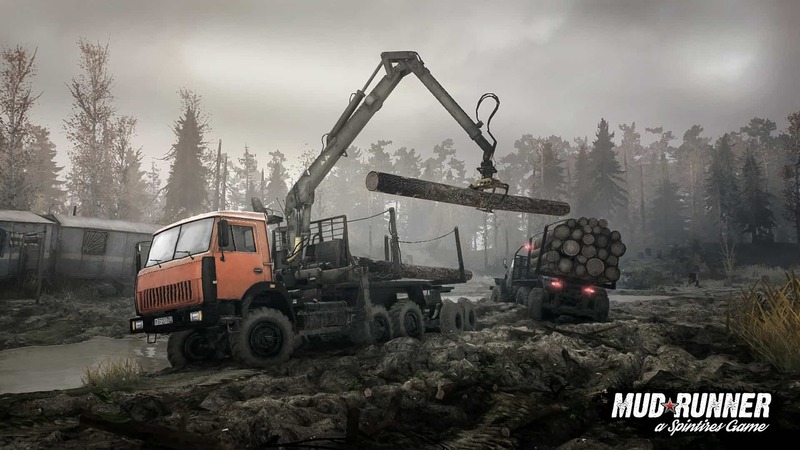 It’s been just over a month since Spintires: MudRunner launched, and we’re happy to announce that the second Spintires: MudRunner update is now out on PC! The console versions of the update will be coming in a couple of weeks, and will include wheel support! Here are the main additions and fixes. Added a new camera centered on vehicles, that is now used by default by all players. The new centered camera can be zoomed in/out to increase visibility. While using Quick Winch, the legacy camera will be used, if players are using a controller. New feature: Look out of the left window while reversing. Cockpit camera can no longer be activated underwater. Cockpit camera can now zoom in. Cockpit camera is now activated with the right mouse-button. Added a keybind to activate cockpit camera. In multiplayer, if the host had multiple mods installed, and then created a lobby and selected only modded trucks, the client was unable to join and the game would crash. This has now been fixed. “Reload” in The Proving Grounds will now reload the addons attachment position. Long mod names will now be shortened. Plants (trees) are now properly saved to and loaded from save files. When moving the camera, the map is now loaded more efficiently. 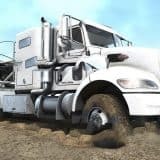 The front/rear camera hint is now presented at the beginning of the tutorial, and in THE RIG challenge, and will no longer appear in REPAIR & REFUEL. THE RIG cockpit bonus objective will now correctly mark itself “finished” as soon as the player reaches the unloading area. The tutorial will now demonstrate both the legacy and centered camera versions. Removed the requirement to align a trailer to the truck when loading logs onto a trailer. Multiplayer chat will no longer overlap with keyboard/gamepad hints at the bottom of the screen. The mouse will now work properly after activating the Steam Overlay with a gamepad or steering wheel. When clicking on “load up” points to pack a load, advanced mode will no longer be exited. Various other tweaks and fixes. In upcoming patches, we plan to include Workshop support for maps, working mirrors in cockpit view, and additional wheel support. We’ll give you more visibility on updates release date as soon as we can. 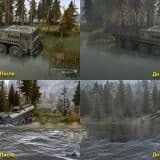 Please continue to give us your feedback so that we can together continue to make Spintires: MudRunner the best game it can be. Can i download it? Or is it just for the original game? When should the update for consoles release? when will you guys give the console users modes your basically giving every Xbox and PlayStation user the bird because the pc version is 100% better and more interesting meanwhile on console its extremely boring and a was of money. so when will console users get and update to allow mods?